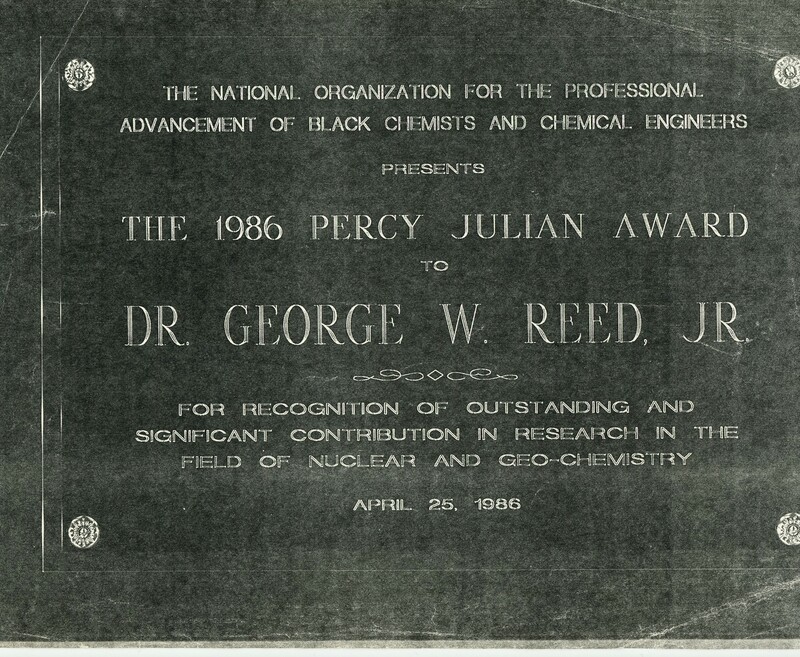 George Warren Reed (1920-2015) was an American chemist. Reed was born in 1920 in Washington, DC. He received a B.S. and an M.S. from Howard University, both in chemistry. During World War II, Reed worked on the Manhattan Project at the Chicago Met Lab. He primarily researched fission yields of uranium and thorium to determine their viability for a nuclear chain reaction. 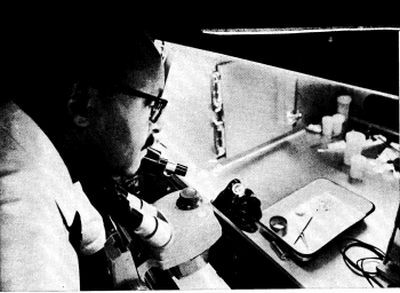 He was one of only a few African-American scientists to work on the project. 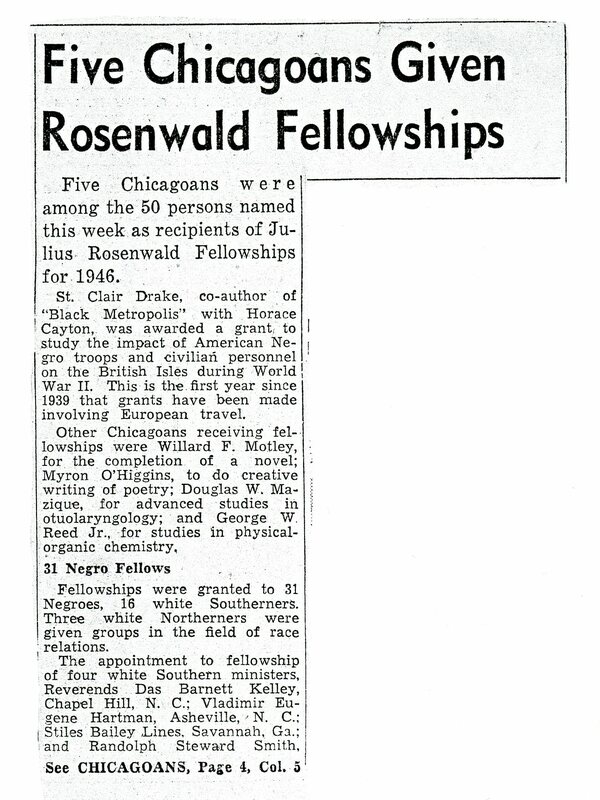 After the war, Reed went on to receive a Ph.D. from the University of Chicago. He then stayed on to work in the chemistry division of the Argonne National Laboratory, where he continued to research radiation patterns of uranium and plutonium. 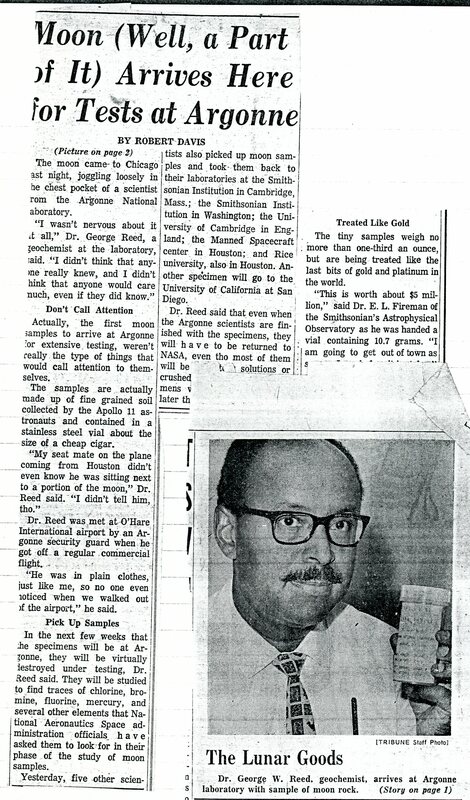 During the 1970s, Reed was part of a team of scientists that analyzed lunar rock brought back from the recent NASA missions. 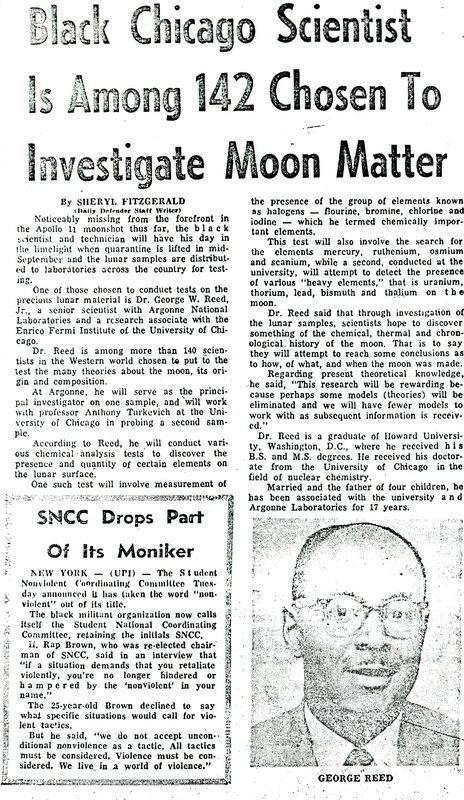 Using a nuclear reactor, Reed determined that lunar rock contained minerals not found on earth. For his work on the space program, Reed was the recipient of NASA's Exceptional Scientific Achievement Medal. Over the course of his career, Reed would go on to publish over 120 scientific papers. Reed died on August 31, 2015, in Chicago. 1920 Sep 25th Born in Washington, DC. 1944 to 1945 Worked on the Manhattan Project at the Chicago Met Lab. 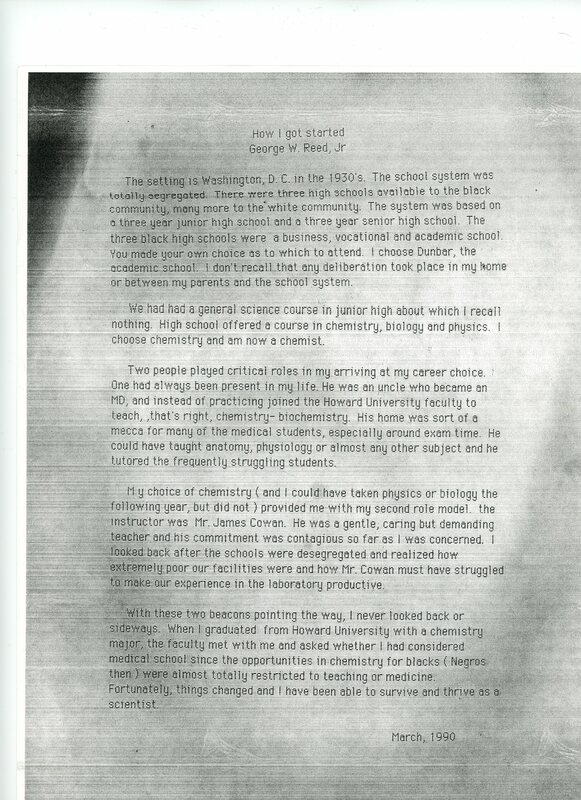 1952 Received a Ph.D. in chemistry from the University of Chicago.